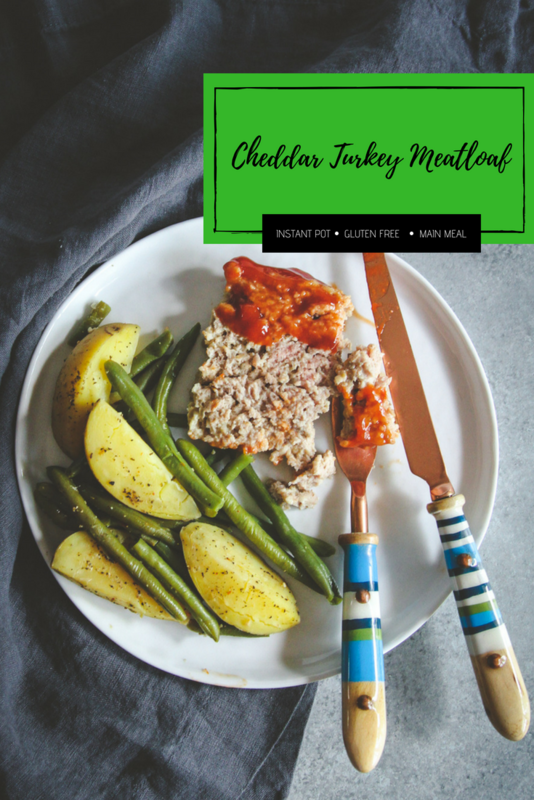 I have been making this Instant Pot cheddar turkey meatloaf recipe for dinner on repeat! 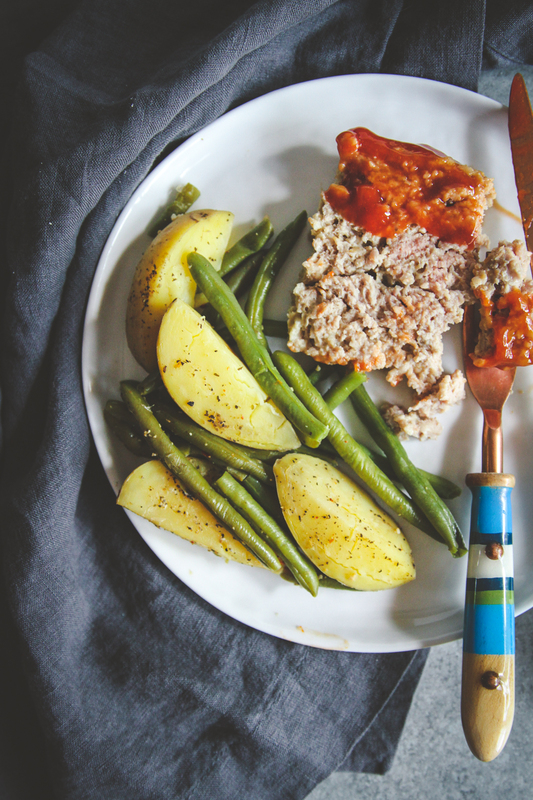 It is one of my absolute favorite recipes, because there’s something about meatloaf with a side of potatoes and green beans that is just so comforting and delicious. This is the best Instant Pot meatloaf dinner recipe, because the entire meal can be made in half an hour, all in one pot! 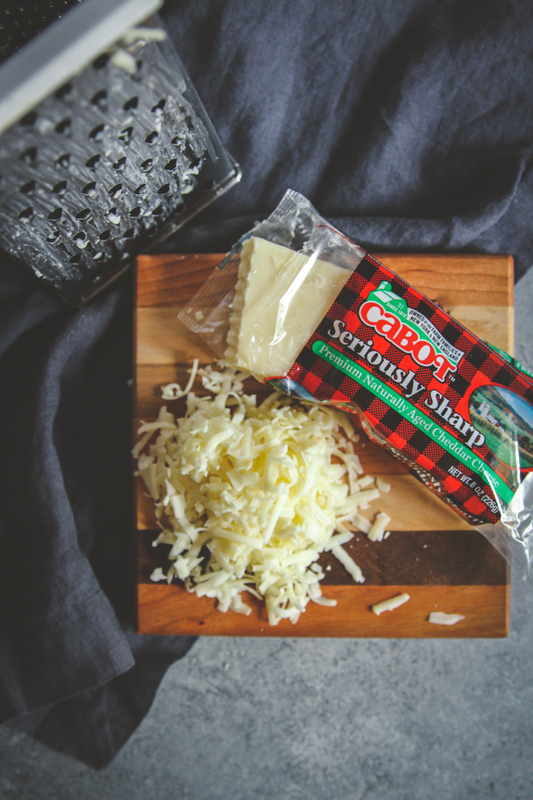 This post is brought to you by my partnership with Vermont Tourism and Cabot Cheese. As always, all thoughts and opinions are mine alone. 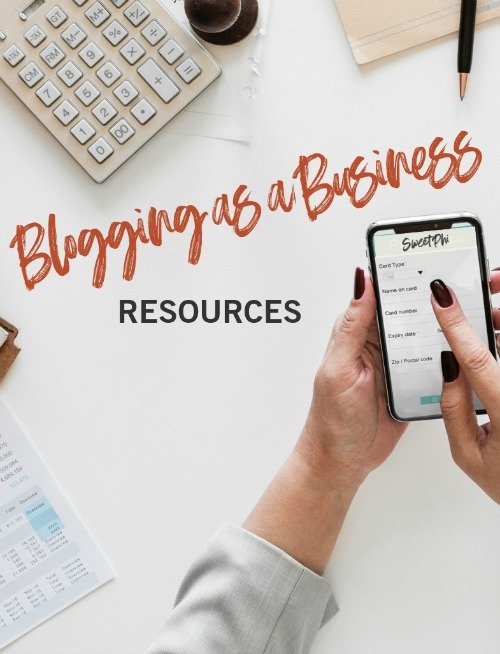 Thank you for supporting the brands that make the SweetPhi blog possible. 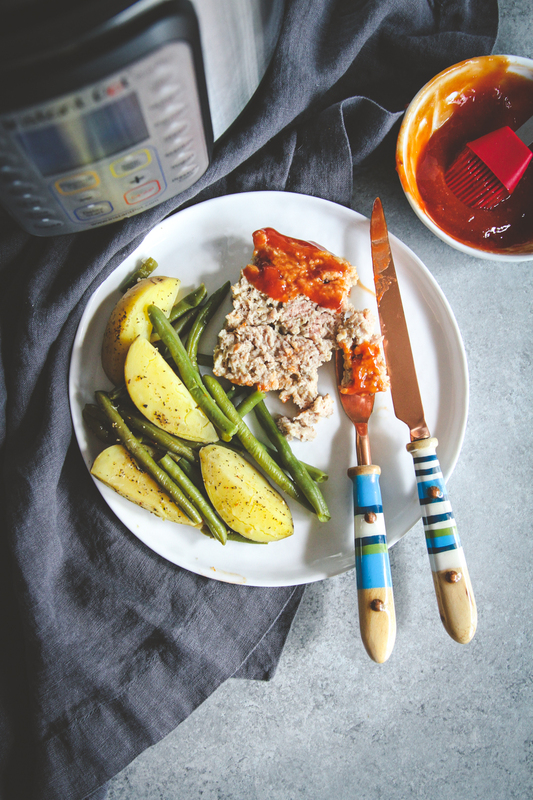 This cheddar meatloaf dinner in an Instant Pot is the ultimate easy family dinner recipe. It’s made all my “busy mom wanting to get dinner on the table after a long day of work” dreams come, and it didn’t take me hours and hours to make! 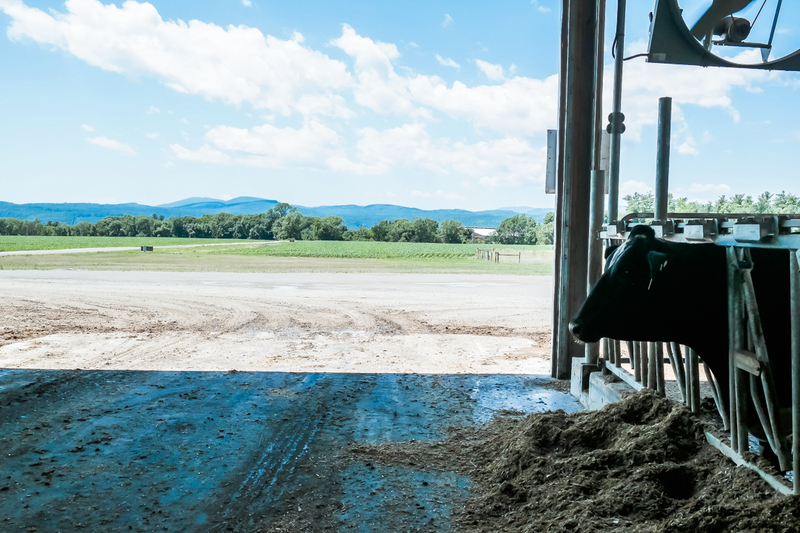 A few weeks ago, when I was in Vermont with Vermont Tourism and Cabot Cheese, I had a chance to visit one of the farm families that own the Cabot Creamery Co-operative and learn more about Cabot. I’ll admit, I knew very little before the trip, and was so blown away by the care and dedication and pride that goes into making Cabot products that I know and have picked up at the grocery store for so long. Cabot is a Co-operative owned by 1,000 farm families throughout New England and New York and 100% of the profits go back to the farmers! 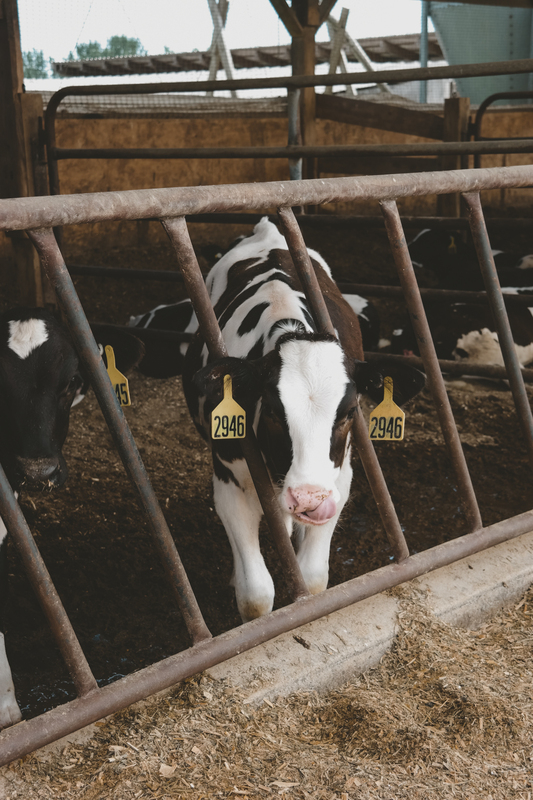 There was such a sense of community and care with the cows – the real stars – no wonder Cabot cheddar cheese and other products taste SO INCREDIBLE!! 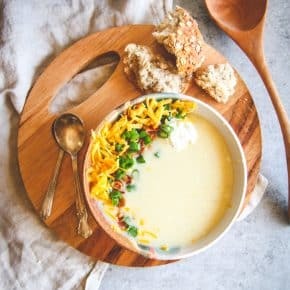 I love cooking with cheddar cheese: whether it’s making a quick snack/appetizer like these 5 ingredient carrot cheddar cheese balls, or adding it to make ahead freezer quiches or adding it as a topping on the best Instant Pot healthy baked potato soup. 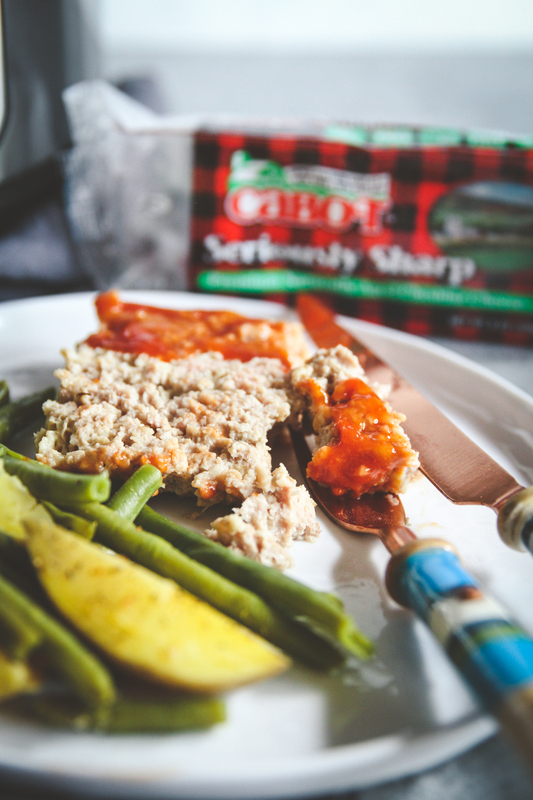 Cheddar adds a great flavor (I like using Cabot Seriously Sharp), as well makes this turkey meatloaf super juicy-no typically dried out meatloaf here! 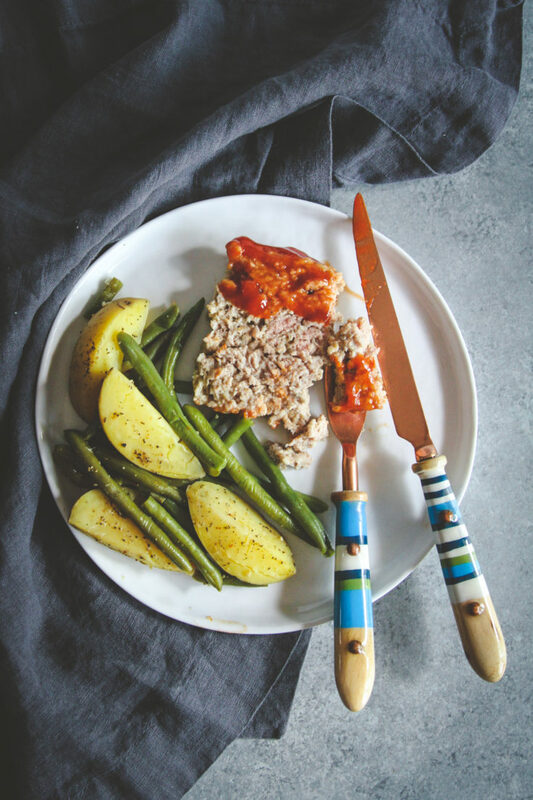 Meatloaf is one of those wonderfully nostalgic dishes, and this recipe feels like it takes me back to the basics, but is slightly modernized and is made easy! Why cook meatloaf in an Instant Pot? There are so many reasons, but my #1 is because making meatloaf in an Instant Pot, it literally cuts the cook time in half!! Usually meatloaf takes an hour in the oven. And that is if you’re making a meatloaf on the smaller side. If you make meatloaf in an Instant Pot, the cook time is 30 minutes! 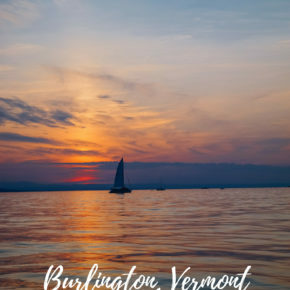 After a long day at work, I’m all about time savings things so that I can spend more time with my baby (who happens to love the Seriously Sharp Cracker Cuts I mentioned discovering on my trip to Burlington, VT). Another reason is that it’s literally set it and forget it when you’re cooking in an instant pot. You do not open the lid, so as soon as you’ve sealed the Instant Pot, it cooks everything for you. What is the best instant pot to use for making meatloaf? I have a 6 quart Instant Pot. I think that is plenty big for a family of 4. 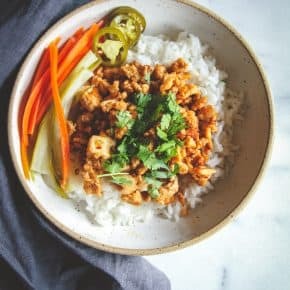 If you have an 8 quart Instant Pot, that would work too, you just don’t want to go any smaller than 6 quarts for this recipe. You want to make sure you use aluminum foil to create “boats” or molds deep enough, 1 to hold the meatloaf, 1 to hold the potatoes and green beans. I do this by laying two pieces of aluminum foil over each other, and then creating the mold ahead of time. You can also put the two pieces of aluminum foil in a loaf pan and use that as mold and then lift it out. 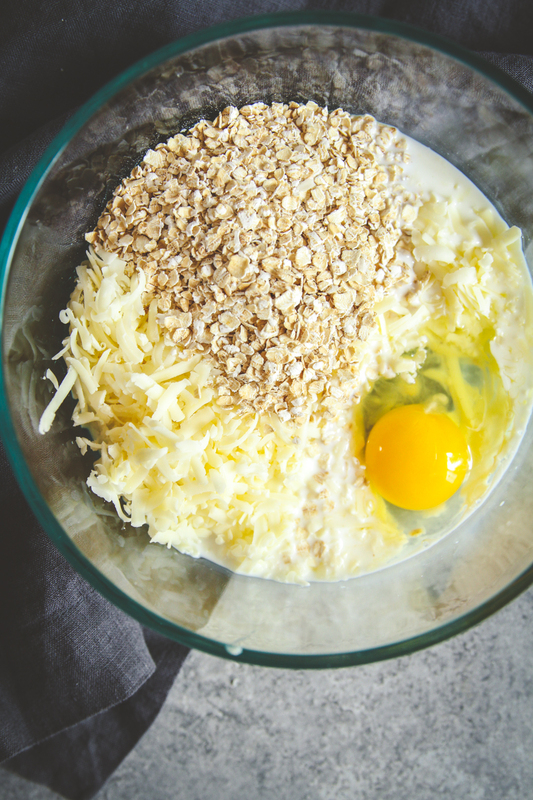 You want to make sure to let the cheddar-oatmeal-milk mixture sit for 5 minutes before making the meatloaf. 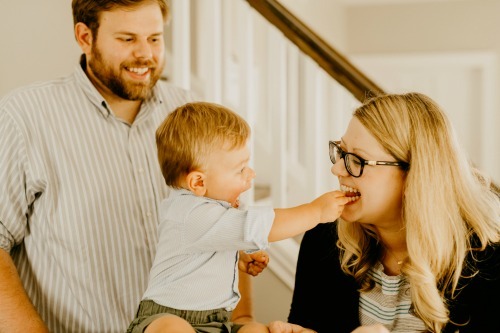 I cannot wait for you to try this easy family dinner Instant Pot recipe, I think you’re going to absolutely love it! I’d love to know in the comments section – what is your favorite comfort food? Make the meatloaf glaze -in a small bowl, whisk together ketchup, Worcestershire sauce, Dijon mustard and brown sugar and set aside. Pour 1 cup of water into the bottom of your Instant Pot and add the trivet. Crisscross 2 large sheets of aluminum foil, twice, 1 set of 2 sheets will hold the meatloaf and the other set of 2 sheets will hold the potatoes and the green beans. You want the aluminum foil to be long enough so that you’ll have enough to hold the meatloaf and then also it will act as a sling for lowering and lifting, I’d say each piece about 20 inches. 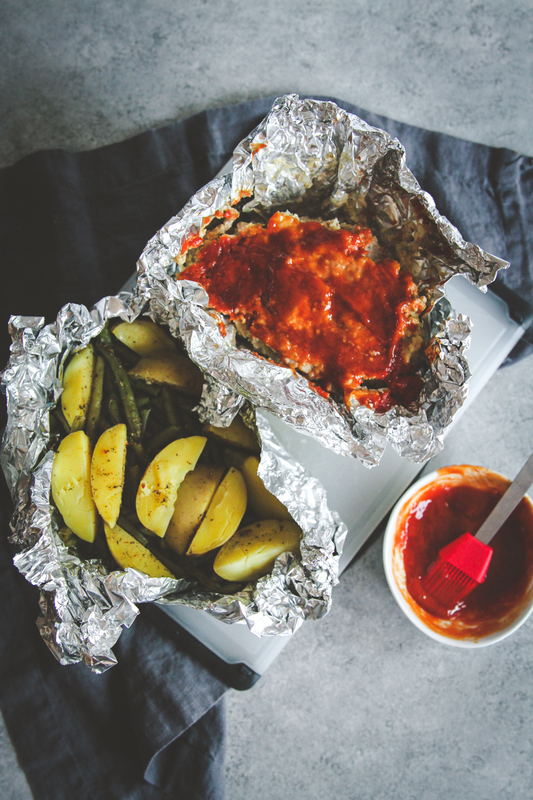 You can use a loaf pan as a ‘mold’ leaving the aluminum foil over the edges. Put potatoes and green beans into the remaining 2 pieces of aluminum foil and carefully lower it into the other side of the Instant Pot. Secure the lid and set the Pressure Release to Sealing. Select the Manual setting and set the cooking time for 25 minutes at high pressure. Perform a quick release by moving the Pressure release to Venting. After the pressure has released, remove the lid and carefully remove the meatloaf – I like to pour out any liquid that has formed at the bottom of the meatloaf. Alternatively you could make this in the oven. Preheat oven to 350. Make two aluminum foil packets as described above and place them on a baking sheet. Bake for 1 hour. Make sure the meatloaf has reached an internal temperature of 165. *I like using oats in the turkey meatloaf, because they plump up and absorb the milk and make for a juicy end product, but feel free to use breadcrumbs instead. I like using panko breadcrumbs. **If you like a crispy crust on your meatloaf, broil the meat loaf in a toaster oven for a few minutes until the glaze on top becomes bubbly. Chicken Strips with a side of roasted sweetcorn. Reminds me of home back in Kansas. Ugh, now I am craving this.